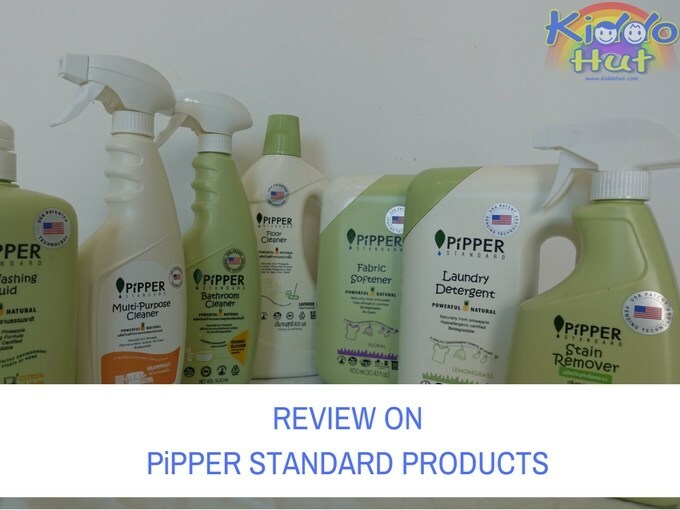 Pipper Standard Household Products Review. Have you or any of your family members ever suffered from allergic reactions on the skin after using certain types or brands of household cleaning products? Or, the cleaning products simply make your skin felt dry after using? Imagine now you have a choice of household cleaning products including but not limited to dish washing liquid, floor cleaner, laundry detergent, stain remover, that are hypoallergenic, non-irritant, free from any known allergens and most importantly, a much better cleaning power than the usual chemical cleaners, won’t that be a fantastic news? Whether you or anyone you know are suffering from chemical allergy or not, for our wellbeing or even for beauty, we would love to use products that have natural ingredients than those made with just chemical. I was introduced to Pipper Standard products by a friend when I mentioned to her that my twins are suffering from eczema. In fact, both my husband and mother have developed atopic dermatitis on their hands as a result from the one year usage of a chemical baby bottle cleaner (not to mention brand here). That’s why I am constantly searching for chemical-free if not, chemical-less household products for my family. Interestingly and surprisingly, such natural products clean much better than the chemical products. I was brought over by Pipper Standard products after trying them myself. See the video below, I managed to remove the tomato sauce stain on my kid’s top within one minute using their Stain Remover. There is no waiting time even. 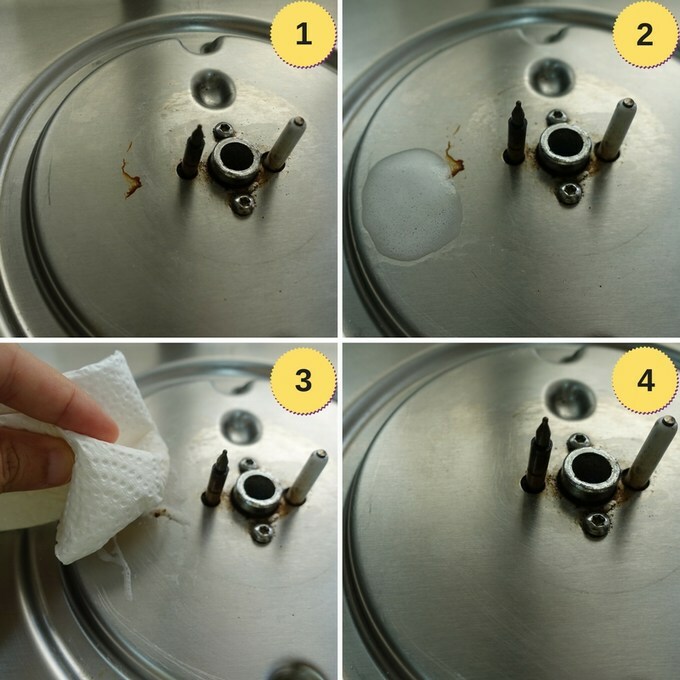 Next, I tried to remove the cooking stain on my stove using their Multi-Purpose Cleaner and it cleaned instantaneously and effortlessly. There is no rinsing required and it is safe which is especially important for cleaning the cooking area. I think this is a terrific news for people who cook frequently. At least it thrilled my mum. 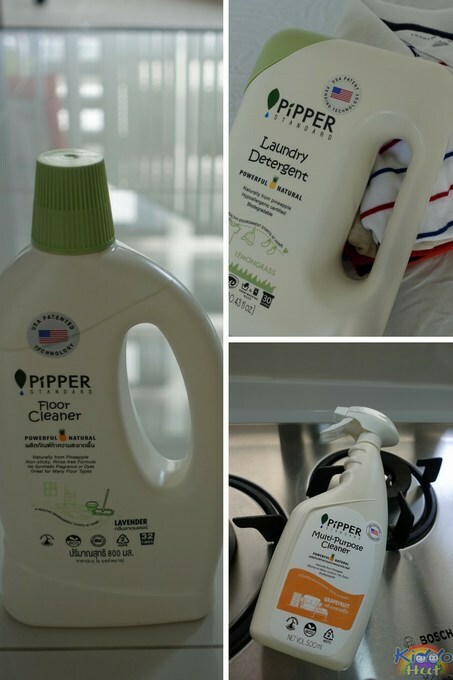 I am switching our dish washing liquid and laundry detergent to Pipper Standard since pineapple enzymes are known to clean effectively and these are also made and certified hypoallergenic, non-irritant and biodegradable, which will be suitable for my family members who are suffering from atopic dermatitis. So, who exactly is the innovator of Pipper Standard? From their website and brochure, the innovators behind Pipper Standard products are Mr Peter Wainman and his wife as Mr Wainman was allergic to chemicals found in household products, decided to create their own products as they couldn’t find a natural products that clean well. After years of research and development, they finally created a fluid derived from a pineapple fermentation process that yields powerful, natural enzymes and biosurfactants that clean as well as chemical based products. Their products are certified by Dermscan and U.S. FDA (on their allergen patch test) for being hypoallergenic and free of any known allergens. And, all Pipper Standard products are biodegradable and environmental-friendly as their products biodegrade more than 90% in one month. For more information on Pipper Standards, please visit www.Pipperstandard.com.sg or their facebook page at www.facebook.com/pippersingapore. Their products are available for sale at Red Mart. Disclosure: We have received the samples to do an honest review, however all thoughts and opinions remain our own.